Kyoto has been a tourist mecca for more than 1,000 years, but on the 21st day of every month, the tranquil grounds of Kyoto’s Toji Temple becomes an eruption of colorful activity unlike anything else in Japan. From vibrant fabrics and textiles, rows of priceless antiques, refined porcelain pieces to delicate paper products and prints, this Kyoto marketplace draws visitors from around the world! Over the centuries, the pathways leading to various temples across Japan became small busy villages called monzen-cho, serving tea and selling omiyage (souvenirs) to the throngs of visitors who come to pray at the temples and buy omiyage for family and friends back home. The Portland Japanese Garden is bringing the Kyoto marketplace to Portland. 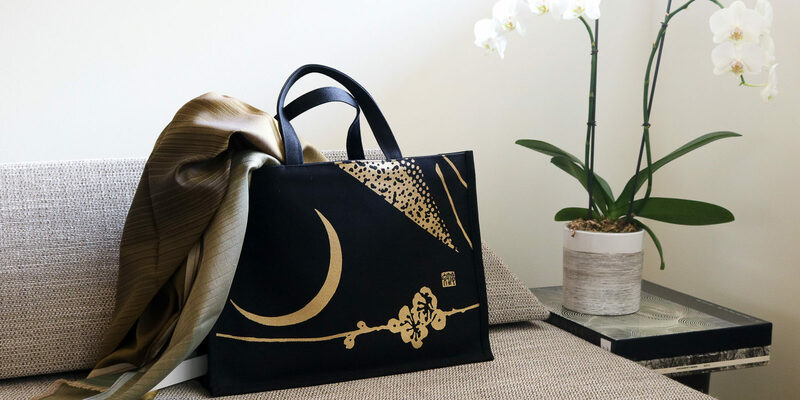 Hand dyed textiles, incense, woodblock prints, and decorative porcelain vases are just a few of the exquisite items available from vendors and artists of the Kansai Region of Japan, which includes Kyoto, Osaka, and surrounding areas. Peek behind the Pavilion’s shoji to marvel at the exquisite hand-dyed fabrics of Le Ciel, the French word for “sky”. 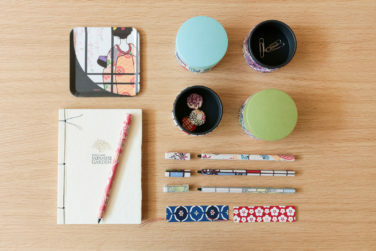 All of the products are made from handwoven textiles, which take about two weeks and a team of craftspeople to create. 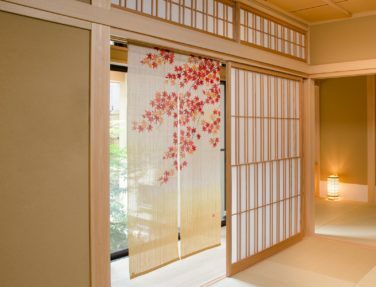 Products range from noren (curtains hung in doorways for privacy), tapestries and other accessories made from ramie. Ramie is native to Asia and is one of the strongest natural fibers. Founded in 1901, the Kyoto based company Miyai has a longstanding history in specialized wrapping cloths called furoshiki (see photo 3). In the Kansai region, furoshiki are frequently used to wrap gifts for special occasions. 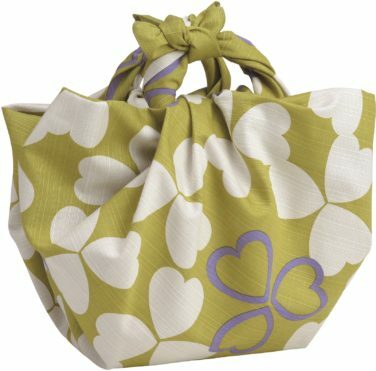 In Japan, where the thoughtfulness of careful wrapping is almost as important as the gift itself, the tradition of making fine furoshiki continues with ever more inventive designs to suit both the traditional and the modern customer. Suzuki Shofudo has been making paper for more than a century. 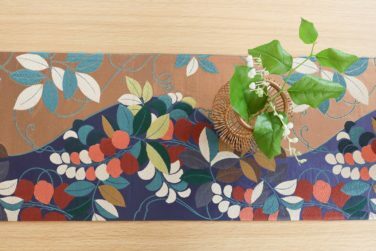 The Kyoto-based company will be offering 50 original products such as multi-purpose boxes and cases with 30 various washi paper patterns. Suzuki Shofudo mashes soybeans to make a milk. When applied to the paper, the soybean milk helps keep the color pigment more consistent. Kaleidoscopes have been a staple items since the company was founded in 1893, and feature early Shwa-era kimono patterns. Starting Saturday, July 21, 2018, come marvel at the incredible creations of Kansai Region artisans. Behind the Shoji: Kyoto Marketplace runs through September 3, 2018. A members-only preview reception will take place in the Pavilion July 20.